December 27 - The Torch Relay for the 2012 Winter Youth Olympics has passed through Innsbruck, the host city of the Games, for the first time today since the flame was lit in Athens on December 17. The flame of what will be the first ever Winter Youth Olympics has already passed through Neustift, Stubaital and Sölden in the city, and was carried by numerous Olympic Games medal winners, including Markus Prock, Ingo Appelt and Günther Mader. Mayor Christine Oppitz-Plörer today lit the Youth Olympic Torch in the cauldron in front of the Annasäule monument in Innsbruck. 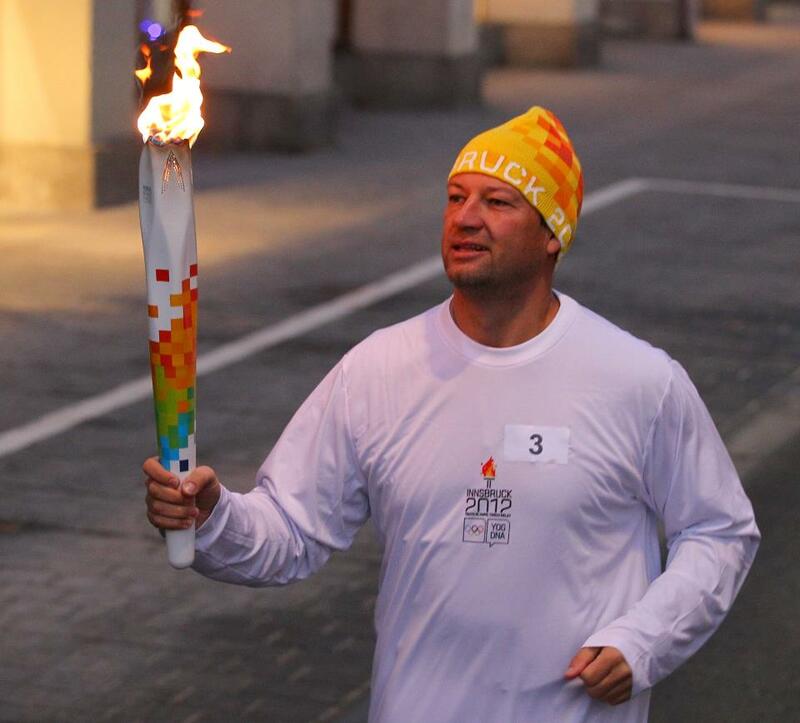 The Innsbruck 2012 chief executive, Peter Bayer, was the first torchbearer of the day before he passed it onto Stephan Eberhater (pictured above), the 2002 Olympic giant slalom champion. "As a successful Olympic athlete, being part of the Youth Olympic Torch Relay as a torchbearer was a great experience for me," said Eberhater. 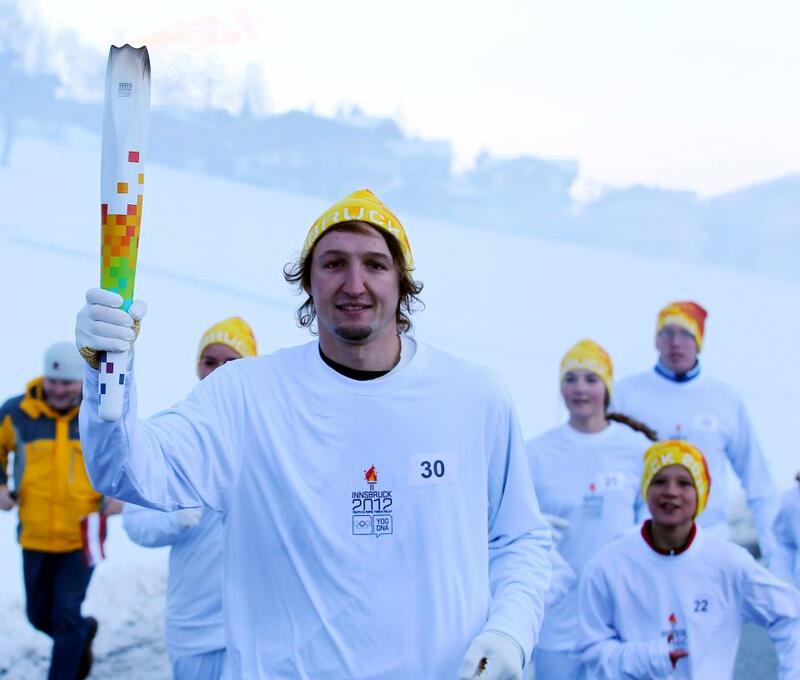 The torch relay continues its way around Austria until the Opening Ceremony on January 13, with the Youth Olympics running until January 22. It is the first time that the Olympic Torch has gone to the same Host City on three separate occasions, with Innsbruck staging the Winter Olympics in 1964 and 1976. The torch will eventually find its way to the Youth Olympic Games cauldron in the Bergisel Stadium in Innsbruck for the Opening Ceremony. In total some 2,012 torchbearers will carry the flame on its 18 day journey through Austria, including its stop in Vienna for New Years' Eve this weekend.